Where can we find your boutique? What is your favourite piece in the A/W 13 collection? My favourite piece in the collection would have to be the 'Pocket Full Of Posies' shorts. The embroidery is to die for and they're just too cute for words! What did you think when you first discovered casper&pearl? When we first discovered casper&pearl, we were overcome with excitement. It was a young, fresh look that we hadn't seen before. It took our minds to a happy place where were skipping through fallen leaves & picking roses from grandmas garden. Describe your space in three words. Our space in 3 words...hmm. Uplifting, fun, & vibrant! Describe casper&pearl in three words. casper&pearl in 3 words.... feminine, playful & FREAKING ADORABLE (sorry that's 2 words but couldn't help myself hehe). How are your customers responding to having c&p in store? Customers are loving the new range. The response has been amazing! 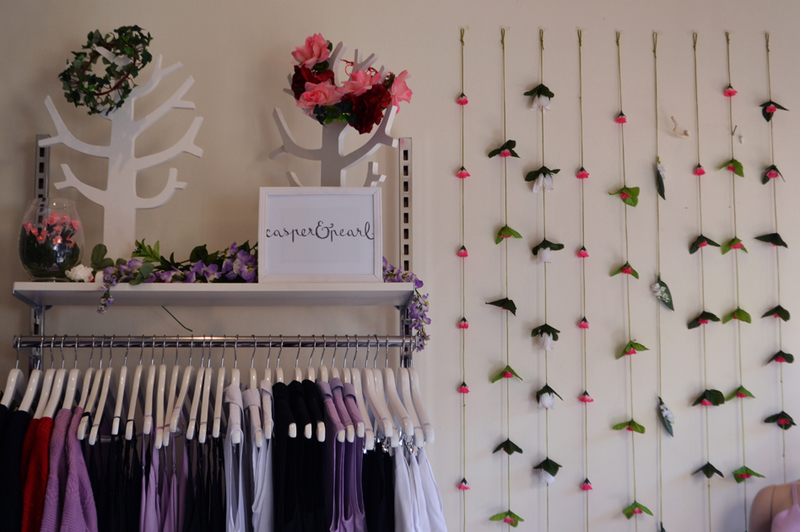 For those who couldn't make it, tell us a bit about your casper&pearl launch party. For those who missed out, it was an awesome launch party! So many beautiful customers came to help us celebrate! Live music, champagne, cupcakes, and the most amazing secret garden setup...couldn't have asked for anything more! Nice photos. Haha the Pocket Full of Posies shorts are my fave from the collection too! New Post: Personal Style Blog by ORR. Oh my goodness that makes me want to go there so bad. This looks so cute! Such lovely clothes! Come to the UK! Looks like such a beautiful boutique! how Id love to go to your shop! Im definatly trying to save up to buy something! :D the boutique looks lovely! So pretty!! I wish there was a casper and pearl store here in america. It looks so cute! your blog is amazing! and your collection awesome, so sweet, I love it! Oh how fabulous - my kind of brand lovely! Thanks for sharing, wishing you all the success! I'm so happy that you get to embark in this amazing experience :) So cool that your clothes are in this boutique! P.S. Thanks for stopping by my blog and leaving such a lovely comment! 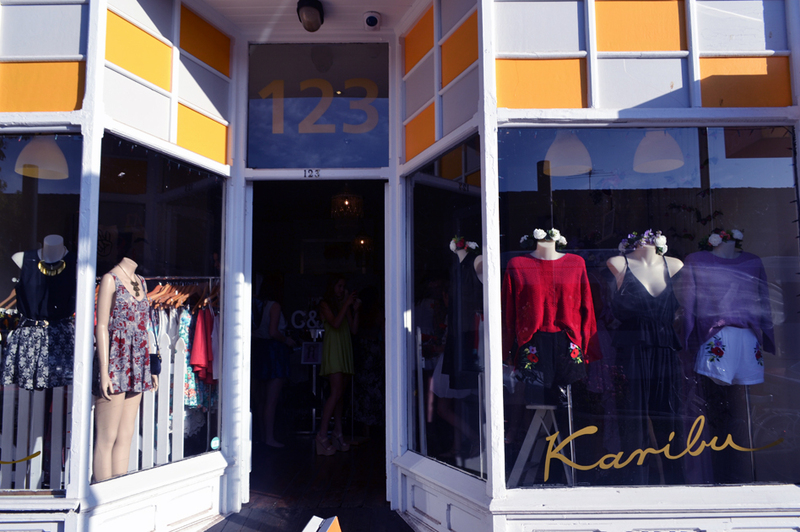 looks like a very cute, warmhearted boutique! What a great business interview! Absolutely adore these photographs and this post! Thank you for your sweet comment, I love some pieces of your collection, it's very lovely and I can easily imagine myself in these clothes! beautiful boutique and beautiful photos! thanks for stopping by my blog lovlies, next pay, I'll definitely be picking a piece from casper and pearl! Hi! I love your blog!!! Very nice place for shopping! What a cute store!! I love boutiques like that, and wish we had one in our city. Thanks for sharing! Ooooh, love this! Looks too cute! looks like such a cute shop! Of course, I want to wear Your clothes. Contact me, if it's stil actual. Love the latest collection gorgeous, you're doing great! shoot a piece of C&P someday soon! I love your boutique! You did a very good job with the visuals! I hope I can visit it one day. Thank you for stopping by my blog. I followed you. Follow me back? Great post, i specially like your style, so amazing!! I love the style of your brand, it´s all so beautiful! i honestly think your pictures are so amazing, would love to collaborate with you! and thanks so much for your sweet comment! wow, lovely clothing <3 ! I am a newe follower! Love your secret garden collection! Cute shop! I wish I lived in Australia! Thanks for the comment on my blog, I love your clothing and was wondering where I can find a place to get a piece or two!. Thanks for the comment on my blog! Perfect pics! Thank you for your nice comment on my blog! I just went trough Casper & Pearl site and completely fall in love with the concept and story of the brand! really love the young fresh and innocent mood of every single item! I will share it on my blog for sure! I let you know. Omg! I want to visit the store! Aaaaw, i absolutely in love with your dresses from your shop, very beautiful and a great look. Really impressive, I find that you're only 18. Thank you very much for your nice comment on my blog! I'd be so glad to collaborate with you one day. Boutique and clothes look very pretty! Thanks that's so sweet!! I love literally everything in here! With love, Cherelle. oh! this store is decorated so lovely! i love the hanging flowers! gosh, i just want to be here right now! Hey girls. You have a lovely shop, nice clothes, love your concept. Great atmosphere! Such a cute brand, loved the store! The decoration is lovely! I would love to wear C&P one day! Thanks so much for stopping by my blog! 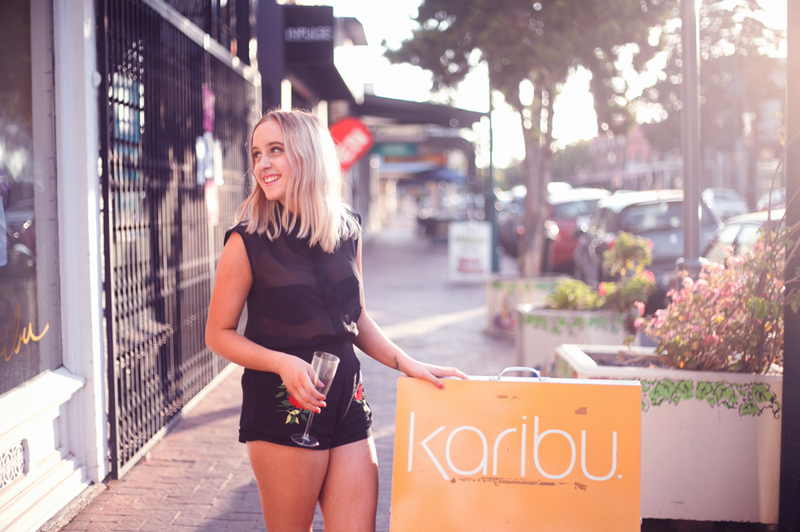 Wish we could have been at the launch party :( Maybe if you opened a boutique in Sydney we'd be able to come. love your style/cute store decor! i want to go to your shop next time i go to australia! Great photographs and I love your style!! do you wanna follow each ether on GCP, facebook and Chicissimo? Wow. Love it. This is gorgeous post. Thanks for stopping my by blog and leaving a lovely comment. Congrats on your great collection, you have so many lovely clothes. :) Hope to wear it someday. will be following from now on via bloglovin! maybe follow back?!?! Beautiful place girls!! Thsnks for sharing! What a cute display!! I love it! Casper and Pearls looks like a lovely line! This red sweater is just beautiful!